Local council elections are usually fought over issues like garbage management, street lighting, better facilities in hospitals or schools etc. However, when Sri Lanka went in for local polls on 10 February 2018, it turned into a referendum on the three-year-old national government’s promise of yahapalanaya (good governance). Sri Lankan Prime Minister Ranil Wickremesinghe’s United National Party (UNP) and the President Maithripala Sirisena-led Sri Lanka Freedom Party (SLFP) lost to the Sri Lanka People's Party (SLPP). The SLPP – a party formed by former President Mahinda Rajapaksa – won 225 out of the 340 local councils that went to the polls, in a peaceful election that saw a voter turnout of over 75 percent. The results were a shock – as much as those of the 2015 general elections, when no one had expected Rajapaksa would lose his presidency. It is believed that rural Sinhalas in the South voted for Rajapaksa’s SLPP in the February 2018 elections precisely because they felt he had been betrayed in the polls three years ago. In south Sri Lanka, on a neat six-lane highway – a paved swath across the forest – a rickety pickup truck lumbered along. “Malu, malu, malu,” crackles a small loudspeaker attached to the truck. The driver, selling freshly-caught fish, is trying to attract customers from the villages by the roadside, and in the woods. The road leads from the small port of Hambantota to the international airport of the town. Bright streetlights, multi-lane highways, no red lights and no speed breakers – everything a motorist might want is present, and yet, except for the truck, the road is entirely deserted. "There were only mud roads here before,” says the fish-seller, gesturing at the asphalt. That the road – built during Rajapaksa’s term – is barely used by anyone else doesn’t bother him. When Sri Lanka’s civil war ended, Rajapaksa sought loans from Beijing for reconstruction, and to consolidate support among the masses. Rajapaksa used these loans from China to build up the road network and infrastructure in Hambantota. Hambantota is not only his hometown but also his electoral district. 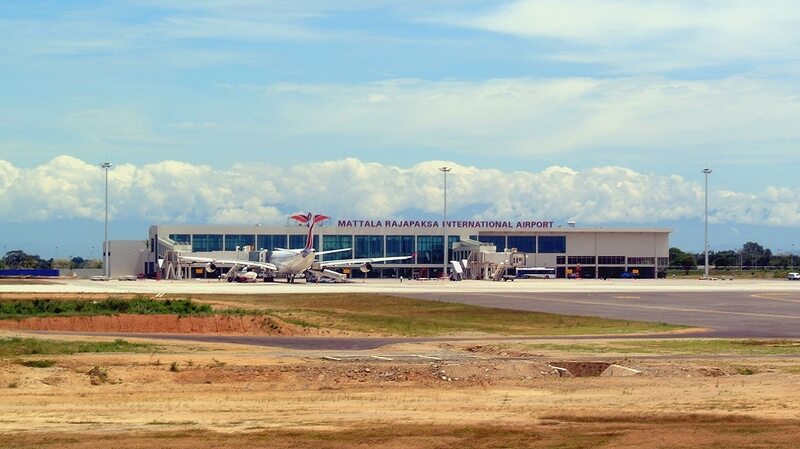 In addition to roads, he built botanical gardens, the Mattala Rajapaksa International Airport (MRIA), an international convention centre, the Mahinda Rajapaksa International Cricket Stadium (which now hosts weddings and cultural programmes) and the Magam Ruhunupura Mahinda Rajapaksa cargo port. He envisaged Hambantota as a new capital, a second Colombo. The fish-seller, like others in Hambantota, voted for Rajapaksa in the February elections because he’s convinced the former President brought development to the area. All 341 municipalities in the island nation went to the polls on the same day, and Jehan Perera, director of the National Peace Council, a think-tank in Colombo, says it was very like a national election, a referendum on the present government. “I would say the local council election results were both a warning as well as an indication of the people’s shift back towards Rajapaksa,” Perera says. Beginning in 2005, Rajapaksa ruled the country with an iron fist for a decade. He and his clan are accused of human rights abuses, nepotism, fraud, corruption, and of brutally crushing the Tamil insurgency in 2009 to end the decades-long civil war. His victory in the local council polls raises an interesting point: Was Rajapaksa never really gone from the country’s political centre? Rajapaksa was defeated by Sirisena in 2015’s national elections by only half a million votes. Now, Rajapaksa, 72, has unsettled Sirisena and his coalition partner Ranil Wikeramasinghe, with his miraculous comeback in just three years. Rajapaksa is the most charismatic leader in the country. He was popular back then and still is today. "Rajapaksa is the most charismatic leader in the country. He was popular back then and still is today. In fact, his popularity has grown,” says Jehan Perera. Rajapaksa’s tenure is remembered as one in which things happened: the war ended; motorways, bridges, buildings, ports and airports sprang up. Not only Hambantota, Rajapaksa connected the south of Sri Lanka to Colombo with a highway. All visible signs of development, as Perera points out. Many school buses are parked outside. Just within the entrance is a Buddha statue – gentle smile, half-open eyes and lotus pose, all present and correct. Pan flute music fills the halls of the departure terminal. The counters for the taxis, tour and travel services, and coffee shops are empty. There are no security guards and no one seems to be in a rush – because there are no passengers here. Instead, a group of schoolchildren – of different ages and in varied coloured uniforms – are excited to see this ghost airport, one without airplanes and deserted runways. Female ground staff in turquoise-hued saris welcome the visitors. The teachers shepherding the students take group photos and selfies; the children treat the airport like a picnic spot. With a straw-hat on his head, Tusita Merigamar looks like he’s travelling with his family. His two daughters point to the runway from the visitors’ gallery, as though watching out for their flight. His wife carries a small handbag, but the family has no other luggage. “We’re here to sightsee at the airport,” Merigamar, who hails from Colombo, says. Designed to service one million passengers a year, the airport is now hosting tourists. Reports in the past indicated that some of the airport’s hangars were rented out to local farmers to store rice. Merigamar was disappointed with his visit. "I've been here once, three years ago when the airport was opened, and I wanted to see how it develops, but nothing happened. It still looks the same as it did then, no planes, nothing, not even the fountain at the entrance works,” he complains. Interestingly, the people do not blame Rajapaksa for borrowing huge sums from China to build these giant structures. Rather, they hold the new Sirisena government accountable for neglecting this infrastructure and hindering the development here in the south. "Today, people see their hopes destroyed and blame the current government for the fault of the previous one,” Jehan Perera notes. Empty promises, then. Cars do not come just because roads are built. Aircraft do not land just because there is an airport. “Since it was his constituency, what Rajapaksa did was go ahead with the first phase for $450 million. And then, instead of waiting to bring in revenue, launched the second phase for another $800 million, and then built the airport for another $250 million, and so on and so forth,” says Harsha De Silva, the current minister of Economic Policy in Colombo, and a political opponent of Rajapaksa. "There were no feasibility studies, no assessment undertaken when making those decisions,” the minister says. Sri Lanka constructed MRIA with an investment of $209 million, out of which $190 million was a loan from China. The Sri Lankan economy has been doing well, but it is also burdened with a debt of 11.23 trillion rupees ($71.9 billion), according to the International Monetary Fund, which it must repay in 2018. To settle some of this debt, Sri Lanka last year formally handed over control of Hambantota to China, on a 99-year lease. The acquisition of the port by China has spurred particular alarm in India, which is concerned about Beijing's growing strategic and economic footprint in the Indian Ocean. And local media has been abuzz with reports for more than a year that India could step in to manage the MRIA to limit China's influence. Rajapaksa’s dream was to build a ‘second capital’ in the 2004 tsunami-affected district. This he did with Chinese finance. This is the debt that the current government now finds itself saddled with, on that they must repay soon. While that did not generate enough profit for Sri Lanka, the scenario may change now. 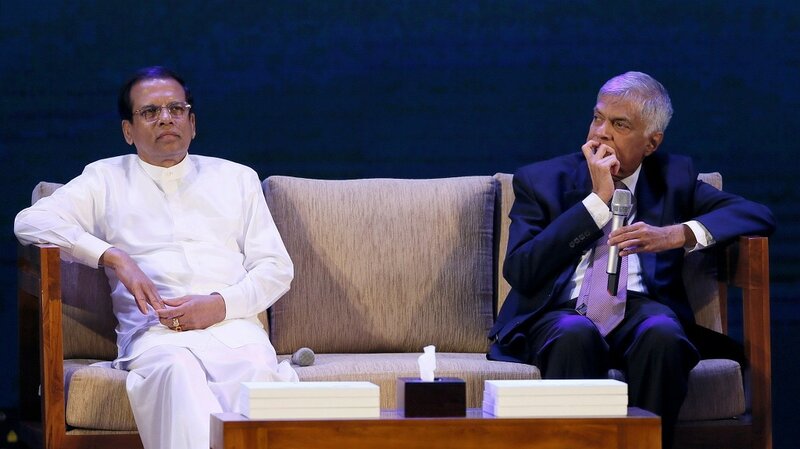 “We have decided to create an industrial zone in Hambantota to attract investors. Soon, the government hopes to see cement plants, refineries, ship repair in Hambantota. 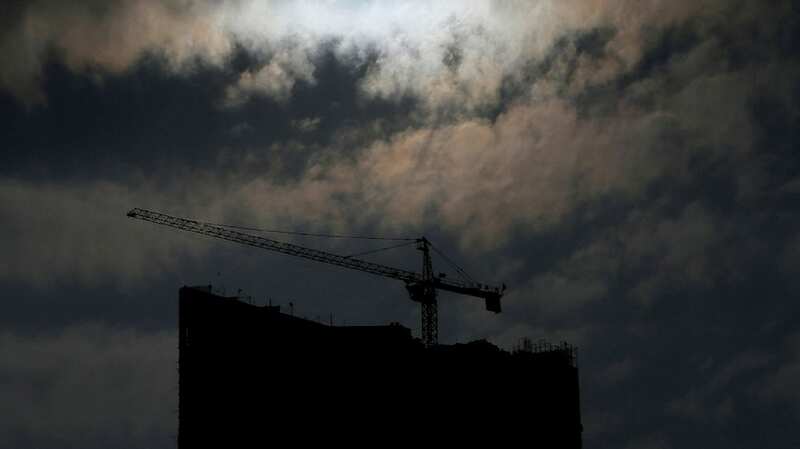 And that will power a sort of economic boom in that area,” De Silva says. But what De Silva sells as an economic development programme has met with resistance in Hambantota itself. Because the land on which these industries are supposed to spring up is what many farmers –who suddenly find themselves in the midst of a geopolitical game – rely on for their livelihood. The authorities are planning a 15,000-acre Special Economic Zone to attract factories and other investment; however, sprawling development also means dislocation, forcible resettlement and loss of livelihood. At mid-day in Karivilla village, Hambantota, a farmer has his lunch after finishing working his land. Sacks of rice lie in a cart behind a tractor. A foot-long monitor lizard meanders across the room. Dharmasena Hettiarachchi sits on a plastic chair in the shade of a mango tree as he eats his meal. Wind sweeps through the leaves of the tree, and Dharmasena is glad of the chance to cool down. "I'm now 52. I pulled the water pipes here myself and made the soil fertile, so if they want to relocate, they have to throw me away, I’ll not leave," he says. The villagers are upset over the lands they stand to lose. Their anger erupted at the inaugural ceremony for the Hambantota Port and Industrial Zone in January last year. They also protested before the Prime Minister, Ranil Wickremesinghe. Tear gas and water cannons were used to disperse the crowd. The same night, an angry Dharmasena started up his tractor, dug up the foundation stone of the industrial zone from the ground, and threw it away in the small lake in the village. He whispers that he also voted for Rajapaksa’s party in February’s elections. 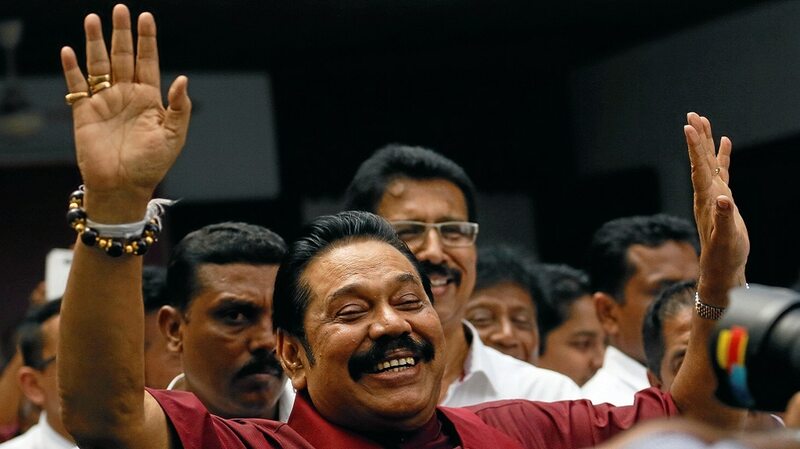 Rajapaksa's 2015 loss has turned into a blessing, says Alan Keenan, senior analyst Sri Lanka, for the Crisis Group. “It makes it easier for Rajapaksa to criticise the present government for failing to address the debt level – which his government is responsible for,” Keenan states. So not only has Rajapaksa palmed off the responsibility for his debts to the present government, he can also criticise them. When the SLFP-UNP alliance came to power in 2015, they stopped availing of loans from China. The lease agreement for Hambantota port included a promise that China would shave $1.2 billion off Sri Lanka’s debt. In doing so, President Sirisena wished to present himself as a responsible politician, one who repays debts. But the port is now virtually under Chinese control, which makes the government’s decision unpopular with many Sri Lankans. Ironically, this has boosted Rajapaksa’s political fortunes. “They have sold the port! They sold Sri Lanka's property to China,” exclaims Lahur Gamage, who worked at the port previously. Now his office is occupied by the Chinese. In his mid-thirties, Gamage campaigned as a candidate for Rajapaksa's party (SLPP) in the local election and won, with his slogans decrying the port lease. Does Rajapaksa have a plan to repay the Chinese loans? Gamage does not have any specific solutions regarding the viability of port. But he does not need any. As an opposition politician, it is enough for him to blame the present government. This is how politics works. In fact, the port of Hambantota is to become part of the new maritime Silk Road (Belts and Roads Initiative), through which China intends to trade goods in the future. So ships will end up in Hambantota – Gamage is right about that. Again, that alone does not bring Sri Lanka any substantial income. A local export industry tied to the port could make the harbour lucrative for Sri Lanka. The government's proposal is not bad, says Alan Keenan of the International Crisis Group, but they have not able to sell their ideas. “The government itself is not clearly and convincingly explaining to the Sri Lankan people why they are having to do the things they are doing and why Rajapaksa is to blame for the debt,” Keenan says. Recently, the finance minister Mangala Samaraweera spoke to media regarding the debt and said that the greater amount of it was taken during the Rajapaksa reign. Samaraweera also said that Rajapaksa and his men are following "Goebbels' Theory" and misleading the public regarding the present government’s financial capabilities. He also wanted Rajapaksa to participate in a TV debate about the nation’s debt burden. The present government’s task, however, isn’t restricted to convincing the people. The problem lies deeper: the regime is composed of two very different political parties. On the one hand, there is the liberal party (UNP) of Prime Minister Wickremesinghe, who would like to open up the country to foreign investors and free trade. On the other, there is the conservative social-democratic party (SLFP) of President Sririsena, which prefers not being too dependent on outsiders. The tension between the traditional and liberal forces had already heated up this January, around the debate over whether or not women in Sri Lanka could buy and sell alcohol in the country. Finance minister Mangala Samaraweera (from the UNP) wanted to allow this, arguing that a ban was discriminatory. But President Sirisena re-imposed a four-decade-long ban on women buying liquor, just days after Samaraweera had lifted the restriction. 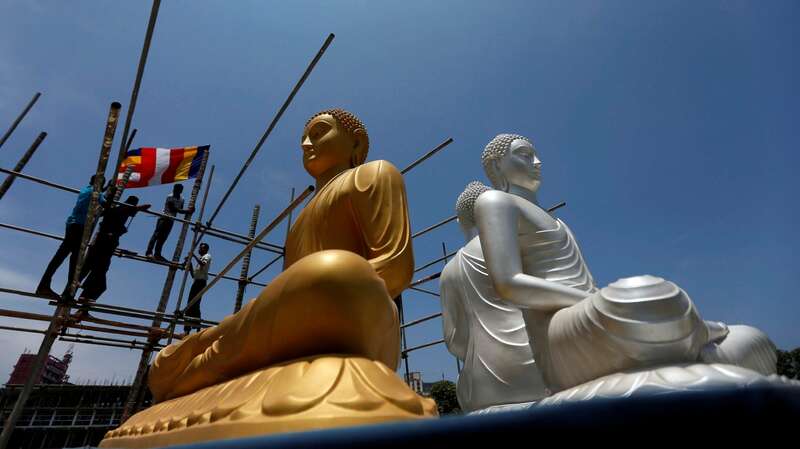 Sirisena blocked the decision, as it was felt not to correspond with the moral values of this Buddhist majority country. It’s a different matter that the President’s daugther, Chathurika Sirisena, got a liquor license in 2016 for her restaurant in Polonnaruwa, Sri Lanka. Such grave disputes led to parliament being suspended for a month. Prime Minister Wickremesinghe had to face a no-confidence motion after the election results, supported by members of his own coalition partner SLFP – a vote he survived. The government seems to be paralysed when it comes to most central issues, says Alan Keenan. “They have promised many things: new constitution, major economic reforms, reconciliation and transitional justice, persecutions for political abuses, big corruption cases under the previous government. On all of those issues they have basically achieved very little,” Keenan says. “Also in the north, most Tamils don’t feel that they have gotten as much they were promised in terms of dealing with the legacy of the war, having their land returned, discovering the fate of their tens of thousands of missing relatives, having crimes committed by the military addressed judicially – a whole range of things. They think they didn’t get what they were promised,” Alan adds. When we talk about the February 2018 local election results, we are talking about Sinhala politics. We are ignoring what has happened in the north. Meter-high sea waves break in front of the pristine sandy beach of Mullaitivu, situated along the north-eastern coast of Sri Lanka’s Northern Province. A pair of boats are drawn up on the beach, a fisherman standing in waist-deep water by the shore as he casts his nets. There are no other people around. The idyll is, however, deceptive. The district records the second-highest level of groundnut production in Sri Lanka, but that’s not what Mullaitivu is best known for. Once controlled by Liberation Tigers of Tamil Eelam (LTTE), Mullaitivu has seen the end of the last battles of the 30-year-long civil war. The Tamil rebels integrated with the local population in the last phase of the war. The Sri Lankan army, on the other hand, indiscriminately bombed anyone and everyone they found moving. Rajapaksa was in power at this time, remembers one government teacher from the region. She is Tamil and afraid of repercussions, so chooses not to share her name. “He (Rajapaksa) was the President during the last and most brutal phase of the war. The people who choose him today seem to have forgotten that,” she says. And that worries her. Here, in Mullaitivu, traces of the war can still be seen everywhere. The district has a ghostly air. In a small, open war museum built by Tamil community, a statue depicts a man holding the wounded body of his wife, their daughter with folded hands, crying next to him. Shreds of clothes, sandals, shoes, bags, wallets from the people who died during the military’s indiscriminate shellings have been collected and preserved here. How many people died here exactly is not clear. Some 40,000 civilian deaths were reported in the final phase of war according to a UN report published in 2011. The report holds the government responsible for the casualties. According to government estimates, around 20,000 people went missing. Amnesty International gives different, higher figures: somewhere between 60,000 and 1,00,000 who have allegedly disappeared since 1980. No one knows what happened to them. Some 75 km from Mullaitivu, for the women in Vavuniya, these aren’t just numbers – they’re vanished sons, daughters, brothers, husbands, parents. They protest at a Tamil Hindu temple, where they wail over photos of those who have disappeared – people carried away by the military, the police or the secret service. For a year now, they have been protesting on the streets, fasting and asking the government and military about the whereabouts of their loved ones. Frequently, personnel from the local intelligence service visit such protests, especially if there is a journalist around. Sitting inside a temporary shelter by the roadside in Vavuniya, an elderly woman’s only wish is to see her son again. “My son went to collect wood from the nearby forest and never returned home,” she says. That was in 2010, and Ranjita Malar has not heard from/about her son in eight years. She doesn’t even know if he is still alive. The 70-year-old sits by the roadside camp, holding a crutch in her hand: a landmine splintered her knee during the war. But it hasn’t matched the shattering force of her son’s loss. The war ended nine years ago, but there is still no news about those who disappeared during it. The families of the missing have staged various demonstrations – not just in Vavuniya, but in different parts of the North – in roadside tents like the one where we met Ranjita Malar. But neither have their loved ones returned nor have the authorities offered any information about where these missing people might possibly be. Ranjita wrote letters to the Prime Minister and the President about her lost son. She always received the same answer: that everything possible was done to find him. That makes her a little confident about the authorities; agonised families have often got little to no response from the government in the past. “At least they answered me,” Ranjita says. When he took office in 2015, President Sirisena had promised to shed light on the cases of missing persons in Sri Lanka. The government passed the Legislation for Missing Persons two years ago. But it was only a few months ago that Office of Missing Persons was finally set up. The delay has fomented anger and frustration among families and activists. And the women in Vavuniya do not want an office – they want their sons, husbands, daughters back. Members to the OMP appointed by President Sirisena began work recently. Twelve regional offices in the country will be responsible for registering the complaints (and sourcing information) from the families of missing persons. The OMP began public consultations on 12 May 2018 in Mannar and held its second public meeting at the Matara District Secretariat on 19 May. 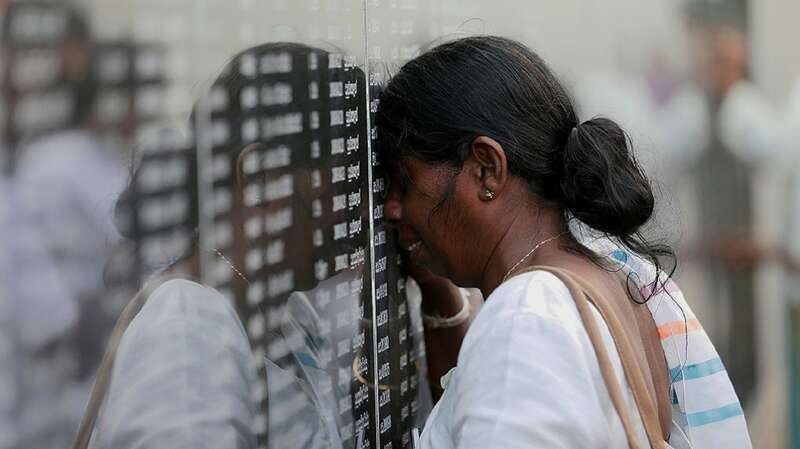 “The OMP is tasked with determining the status of all missing persons in Sri Lanka and is the first pillar of the transitional justice mechanisms,” a statement released by the government this March read. The OMP’s chairman Saliya Pieris says the team will prepare a database of missing persons dating back to the 1970s. He further explains that OMP is not only responsible for missing persons in the North, but will also investigate such cases in the South, including those of soldiers and police (who’ve disappeared). Families of those who’ve vanished in the North, however, are skeptical of the OMP. This office is just window dressing, says Jayakumar Kassipillai. “They will only give us a death certificate declaring that our sons have unfortunately passed away,” he says, teary-eyed. A 60-year-old mother is among those protesting at the Vavuniya camp, looking for her son who disappeared soon after the war. The camp is made of tin and tarpaulin, but the determination of the protestors within isn’t as weak as the makeshift shelter they’ve erected. The structures have banners – some containing requests to the government, others curses. On the side facing the road are photos of the missing: some in colour, some black and white, some faded, hanging by clips like delayed dreams. No rain, no summer or winter exists for the people who camp inside the tent. They think only of their lost relatives. Their hope begins to dwindle over time, as do their numbers. Seven protestors – all women – have died during this year-long vigil. There is no national legal framework that criminalises enforced disappearances. That is why, unrecognised confinements are often treated as ‘missing persons’ cases. Sometimes, if complaints regarding alleged detentions are registered, these cases are considered as abductions or illegal imprisonment. But these categories do not reflect the complexity and grave nature of enforced disappearances and also do not attract punishments equalling the severity of the crime. This lack of appropriate legal provisions for enforced disappearances may have also contributed to the rise in the number of such cases. Other factors too play an important role. For example, military and intelligence agencies can arrest and detain anyone in the name of national security; members of law enforcement and security forces cannot be persecuted. Military courts wield discreet power. “It is true that the military grew more autonomous, more powerful, bigger and richer under the former government,” says Alan Keenan of the International Crisis Group. Keenan also opines that President Sirisena himself is slowing down the transitional justice process. Because if these units actually worked efficiently, that would bring explosive evidence against the highest ranks in the military, police and political parties. “The government’s concern is that if it functions properly, the Office of Missing Persons will begin to put together a lot of evidence of the large-scale mass-disappearances by the state, by the police, military and para-military forces working with the state, and – to be fair – by the LTTE as well. 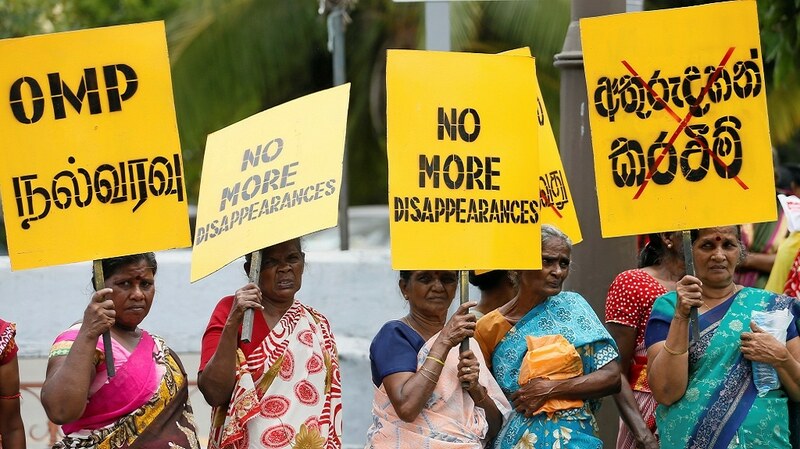 The principal agent of enforced disappearances in Sri Lanka, however, has always been the government, the state. So you can understand why the government might not really want to go there,” he says. Many things continue as before. The military still occupies private lands in the North, which it confiscated during and after the war. How much land it occupies is not known, not even to the government. According to the Sri Lankan army’s website, as of 1 December 2017, the army released more than 55,510.58 acres of private and state land in Jaffna, Kilinochchi, Mullaittivu, Mannar, Vavuniya, Keppapilavu in the Northern Province. The military cultivates vegetables, fruits, engages in fish farming and animal husbandry, and sells the produce in the local markets. The local Tamil farmers are the losers, whose land is already occupied by the military and have no choice but to migrate to the city – or sell their harvest at cheaper rates. This has given rise to new grievances, the few that didn’t exist before the war. The military also occupies private homes in the north, running hotels and resort. Alan Keenan says the present government is taking small measures towards transitional justice, and the military returning lands in the North can be considered a good step. “It’s fair to say that the government has done some things very quietly. I think the size of the military has reduced a little bit. Some significant amount of land has been returned to private owners in the North,” he points out. One of the private homes the military recently relinquished – nine years after the end of the war – was that of 84-year-old Singarathnam Sellamma. It’s a small one-storey house, with a spacious verandah. But Sellamma is not happy. I meet her at night and Sellamma takes me inside the house, through her living room. An incandescent bulb that hangs from a wire in the ceiling throws an orange light, and that’s the only object in the room. “Look, they broke the marble,” she says, indicating the floor and wall. Sellamma protested for a year in front of the government’s divisional secretariat in Puthukkudiyiruppu, a small town in Mullaitivu. A Sri Lankan army officer had been living in her home. The houses beside hers are still occupied by the military. “When I entered the house, there was a stink of alcohol. Excreta was smeared all over the floor. Broken glass from liquor bottles was everywhere; the doors and fencing had all been torn apart. The windows had been removed and taken away by the army,” she enumerates, of the condition in which her home was returned. Sellamma does not know why the officer damaged her house. She didn’t receive any financial compensation from the government, so Sellamma – a poor farmer – has had to pay for the repairs herself. The Sirisena and Wickremesinghe government has not kept their election promises to the Tamils. The reason for this lies again in the south: with every step towards the Tamils, the President risks losing Sinhalese majority support. “The government is afraid that the Sinhala constituency will be unhappy they are giving back the land and reducing the military’s footprint. Rajapaksa will use every chance to criticise the government by saying, ‘So you are shrinking the military, you are weakening us, you will let the terrorists return’,” says Alan Keenan. Jehan Perera, director of the National Peace Council, has similar thoughts. “The government is now beleaguered, they are not performing – not in terms of he economy, not in terms of tackling corruption. If it had performed well on either of those parameters, it could have shown more moral authority in taking forward the challenge of ethnic relations. Having shown itself to be corrupt and inefficient, it doesn’t have that moral superiority,” Perera says. The coalition government relies on the support of the Sinhalese as well as the Tamils. However, Mahinda Rajapaksa's electoral base is much more homogeneous. He can politicise fully at the expense of the Tamil north, counting more and more nationalist Sinhalese behind him. The opposition leader is thus still managing to split the country, bringing the desolate economic policies of the South back into play, says Jehan Perera. "If the government had managed to boost the economy in the South, it could count on more support there today and more confidently address the problems of the Tamils ​​in the north,” Perera believes. Rajapaksa's debt policy is not only gnawing at the hope of an economic recovery in the South, but also upsetting a reconciliation with the Tamils ​​in the North. Rajapaksa has benefited the most from this, because the local elections in February showed that voters in the North have also turned away from the unity government and its local partner (the Tamil National Alliance aka TNA, a traditional and moderate party) and voted for smaller nationalist parties and Tamil nationalist parties instead. While TNA did not suffer a rout, the election results were setbacks to its popularity. One of these nationalists in the north is Gajendrakumar Ponnambalam. He is the leader of the All Ceylon Tamil Congress (ACTC) and a member of the Tamil National People's Front (TNPF). The Tamil National People’s Front gained significantly in these local council elections, especially in Jaffna district, winning the most seats in Point Pedro and Chavakachcheri – two of Jaffna’s largest councils. Ponnambalam criticises not only Rajapaksa but also the present government in Colombo, in its treatment of the Tamils. 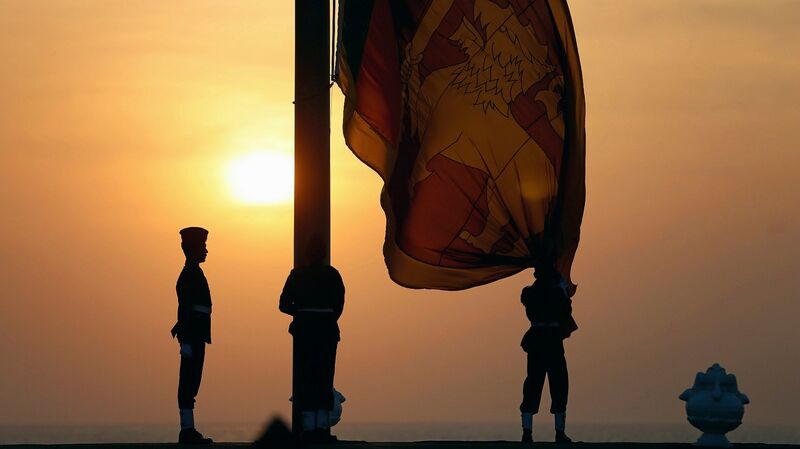 “We see ourselves as a nation, like the Sinhalese are a nation in themsleves. That doesn’t mean we accept a separate country but that we are a political entity. And we believe Sri Lanka must be a multinational country. And within a common Sri Lankan state, if we can’t maintain our identity and security, then the only way in which that can be done is by creation of a separate state,” Ponnambalam says. Ponnambalam claims to represent the Tamils in the North just as Mahinda Rajapaksa claims to do for his much larger Sinhalese voter base in the South. In this new, and again old, balance of power, the political center seems to implode. Jehan Perera sees a reconciliation as distant under such conditions and warns against a blockade. “The Tamil hardliners are not violent at the moment, but their demands are excessive and extreme, which will never be accepted in South. Therefore it’s a recipe for deadlock. If Tamil nationalist hardliners get stronger, then there can’t be an agreement ever,” Perera warns. 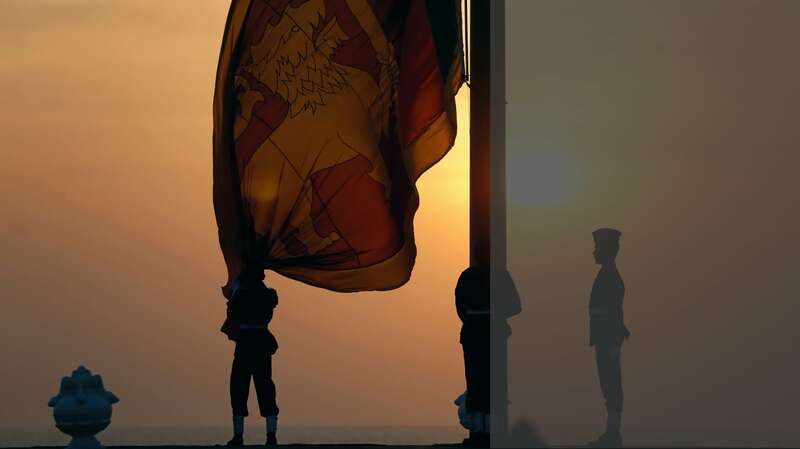 President Sirisena was elected in 2015 with the hope that he would unify the island state, which has seen enough bloodshed during the nearly three-decade-long civil war. The OMP was one of the accountability mechanisms advocated in the UNHRC resolutions on Sri Lanka since 2013, but it has only just started its operations. The ethnic polarisation continues, and reconciliation is moving at snail’s pace in the North. The latest communal violence against the Muslim community in Kandy alarmed the South Asian island nation of 21 million people. Economic recovery from the ‘white elephant’ structures of the South is another challenge to deal with for the present government. The local election results clearly indicate that people from Sinhala and Tamil ethnicities have shifted towards the hardliners. If the government takes these signs as a wake-up call, it still has two more years to fulfil the promise of yahapalanaya – good governance – to its citizens.